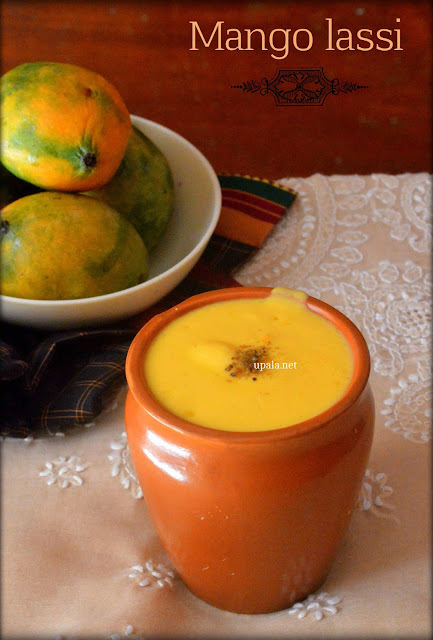 Mango Lassi is a chilled refreshing drink which I often make during Summer season to beat the heat. 1) Peel the skin of Mangoes and chop it into pieces. 2) Grind the Mango pieces with Salt and sugar to smooth paste. 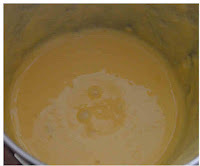 3) Add Chilled Curd to ground mixture and give one pulse. 4) Transfer the Mango lassi to a glass and drop a pinch of Cardamom on top of it for decoration. Yummy Mango lassi is ready. 1) You can also add few strands of saffron while grinding for added flavour. 2) You can also add 2 Cardamoms while grinding Mago pulp for nice Cardamom flavour. 3) If your Curd is thick, you can also add 1/2 cup of milk while grinding.